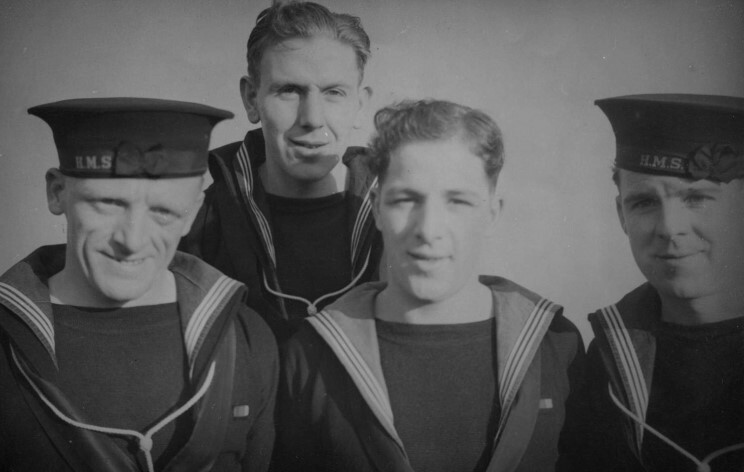 Crewmen of the HMS Duke of York, Able Seaman John Knowles is on the right. 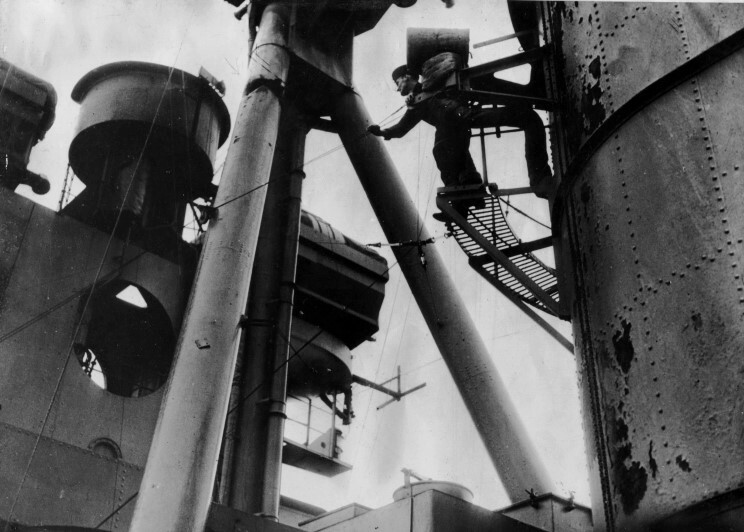 HMS Duke of York, date and location unknown. 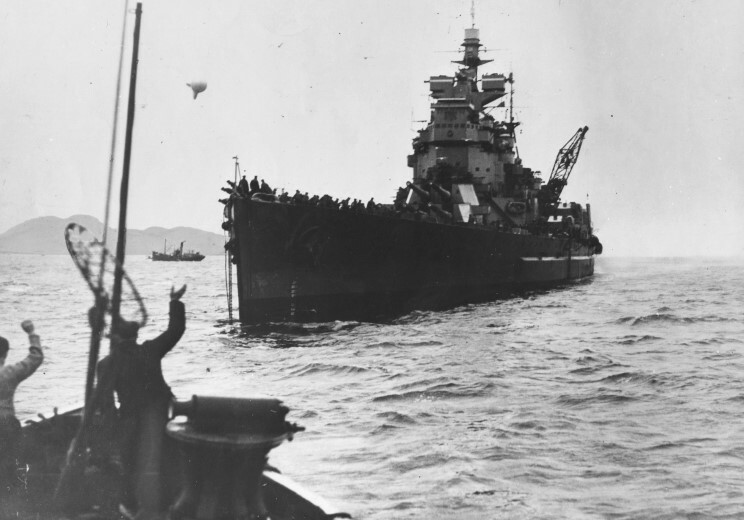 December 26, 1943: Damage received in the Battle of the North Cape from the German battleship Scharnhorst. 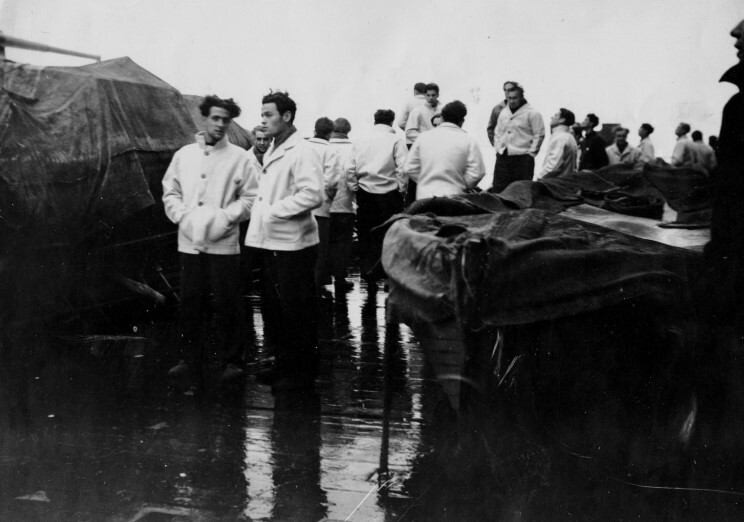 December 27-28, 1943: Some of the 36 survivors from the Scharnhorst on the HMS Duke of York.